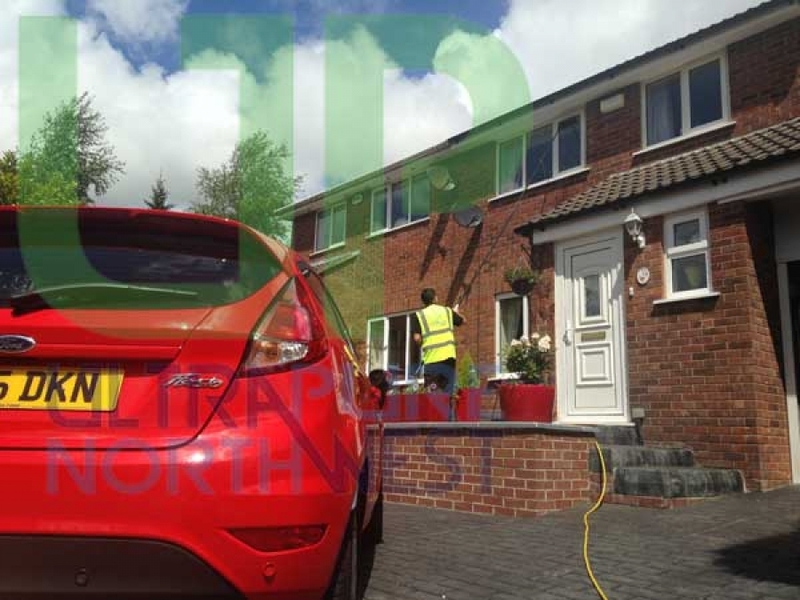 At Ultrapure North West we carry out most of our cleaning using 100% pure deionised water simply because it is proven to give the best results and it is safer to clean from the ground than it is to climb ladders and with ever changing health and safety guidelines it keeps us working well within the law. Here are some frequently asked questions about pure water cleaning along with the answers to those questions. Question - What is Pure Water? Answer - Water from taps contains lots of dissolved minerals, including calcium & magnesium which if sprayed onto your windows and left there to dry would leave a chalky residue causing visible spots and streaks. Pure water is produced by passing this tap water through a series of filters called a reverse osmosis system, which is the same as but larger than those producing water for fish tanks and aquariums. These filters de-mineralise the water which is then passed through a de-ionisation filter which removes every last bit of impurity making it 100% pure! Question - Why don't you use soap? Answer - Because the water is so pure it simply has a need to be dirty again so it attracts the dirt from your windows a little like a sponge. Soap isn't generally needed at all but occasionally we do use cleaning solutions to help clean frames on a first visit. A soft brush is used to loosen and agitate the dirt before the window is given a final rinse with more pure water! Question - Why do you leave the windows wet? Answer - Because the water left on your glass is 100% pure there is nothing that will cause spots or streaks, this is best left to dry naturally and doesn't need to be dried off. On the occasions that we do use cleaning solutions these are rinsed totally from your glass and frames before a final rinse is carried out using more pure water! Question - Is this method better than more traditional ones? Answer - Simply, Yes. There are no impurities being left on your window including soap, so there is absolutely nothing to attract dirt and nothing that it can stick to so your windows will stay clean for longer using this method and they are generally shinier and look cleaner! Question - Do you clean frames and sills? Answer - Yes Frames and sills are cleaned everytime, this helps remove all of the dirt from around the glass which if not removed might run onto the glass causing spots and/or streaks! Question - Can this method only be used in summer? 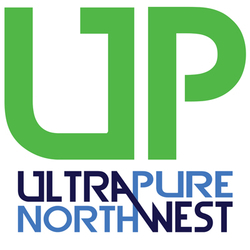 Answer - Absolutely not, Ultrapure are a professional cleaning company that operates an all year round service. At times severe weather can mean that it isn't safe to clean, even with pure water cleaning but as soon as conditions allow we will service our customers as usual. Not only that but light rain and snow will not affect the finished results when cleaning with pure water because contrary to popular belief rainwater is actually very clean, almost as clean as the water we use.